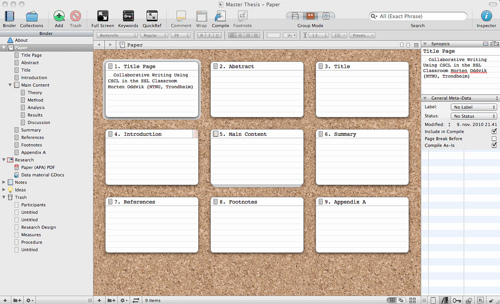 I’ve seen so much about Scrivener lately, think I am definitely going to have to check it out. I played with the trail version but didn’t get it when I won Nano. Everyone raves about it, but I found it a bit clunky with a learning curve. I may give it another try after I win another nano. There is a pretty steep learning curve. I’m in a weird place. I love using Scrivener to outline and then compose in MS Word before copying and pasting it into Scrivener. That seems to work best.